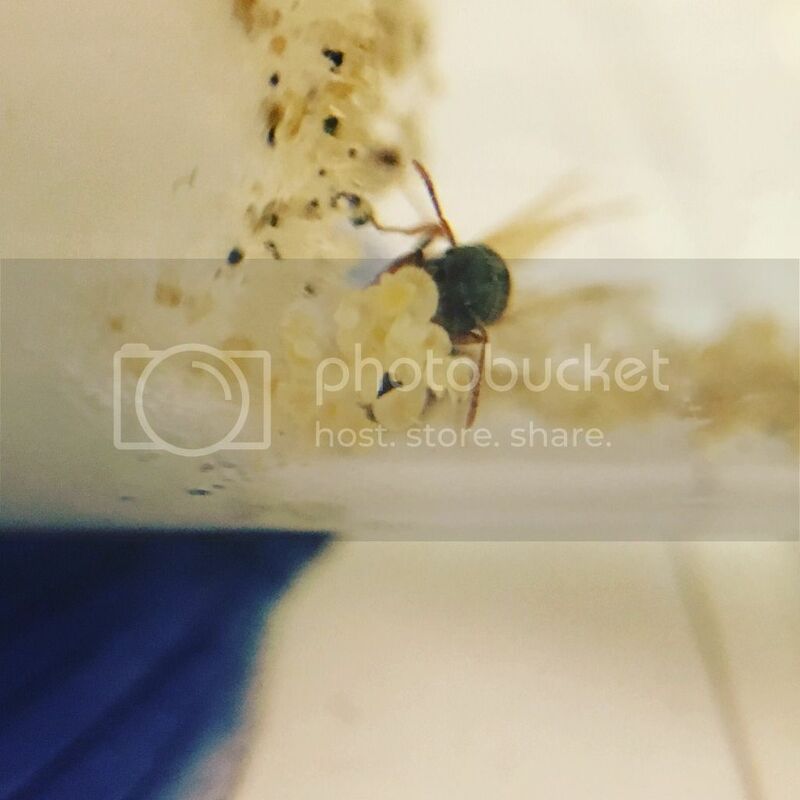 It’s been 4 days and she has a cluster of eggs! Will post pics soon! Now she has 40-50 eggs and 10 larvae! My dad said my nanitics arrived today! AHHHH IM SO HAPPY! I *consider* them my first nanitics! Pics coming soon! Pic of her and her nanitics! Sorry for the photo my dad took it because I’m on vacation! 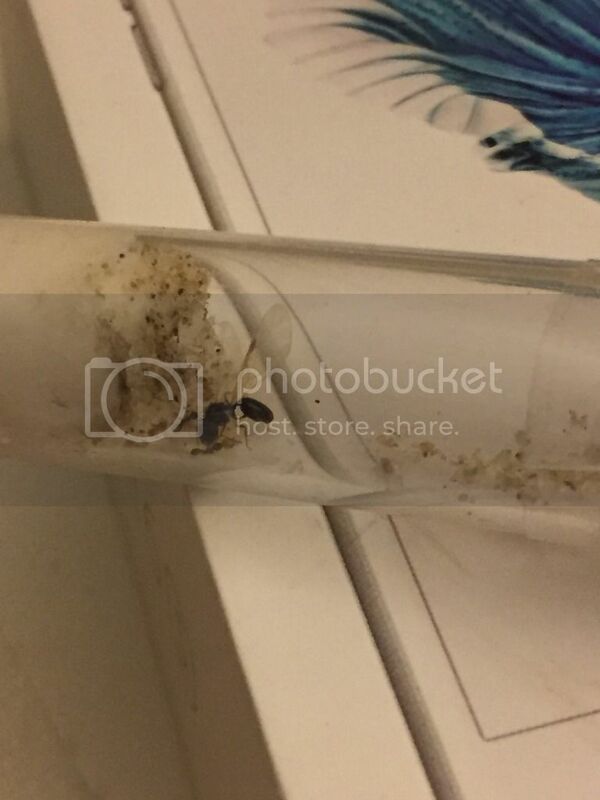 Just last night I was looking at Pheidole queens and thinking “Hey these look like my tetramorium queen!” What size are Pheidole queens? There isn't an exact size for them but the average species size is about the same as the one you have there. This queen could be Pheidole Pallidula. When I get back home I’m gonna take a pic with my macro lens.